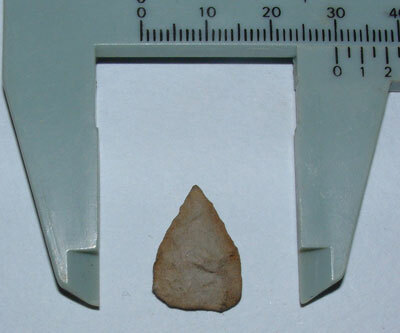 Excavations at the High Pasture Cave site in Skye are now well underway and we are starting to see a steady trickle of small finds from the different trenches we are excavating. In particular, Trench 19, which is investigating the nature and extent of the burnt mound and spreads in the northern sector of the site, has produced some nice finds. 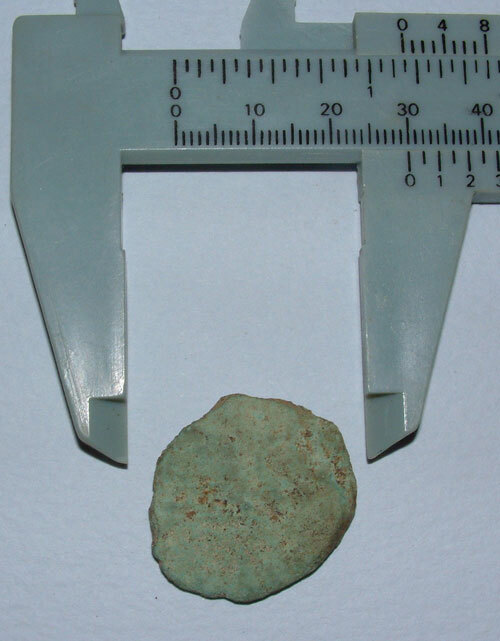 The images above and below show the two sides of a copper-alloy coin found in the upper layer of the burnt mound in Trench 19. Unfortunately, without cleaning and conservation it is difficult to make out any definate markings, but there appears to be a little text, a possible bust on one side and a amorphous shape on the reverse. 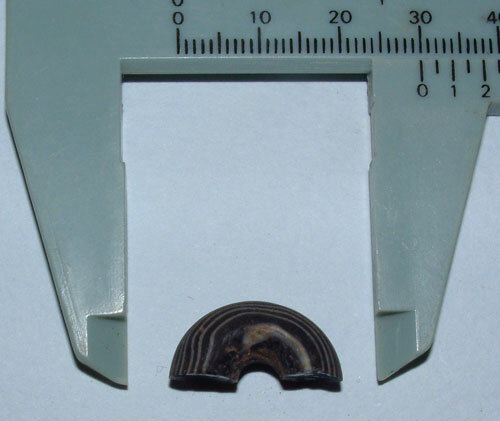 The coin is sub-circular and varies in thickness. Could this coin be Roman? 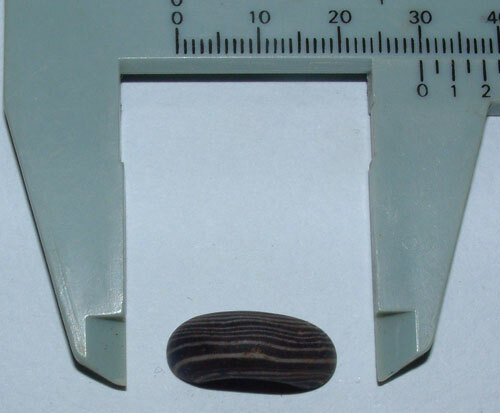 We have also recovered a significant collection of metalworking residues from Trench 19, which includes smelting or smithing slag, and several sherds of plain pottery. A possible pot-lid manufactured from stone, a quarter of a rotary quern stone (upper stone) and several coarse pebble tools have also been recovered from the trenches under excavation. 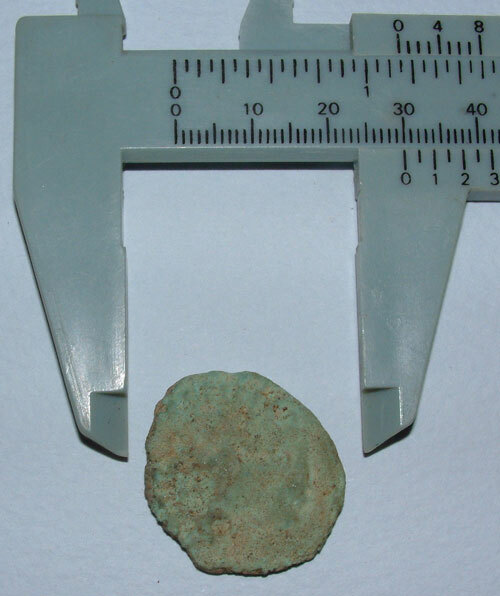 However, the last major find to be made to date was recovered from a trial trench to investigate a possible ditch or pit feature in the east sector of the site. 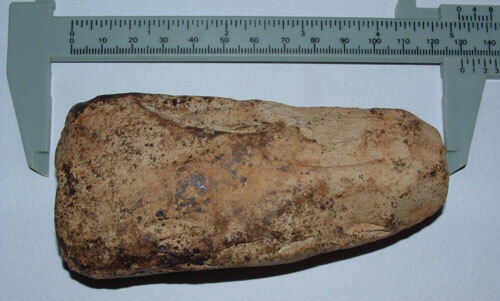 The partly-finished polished stone axe (see images below) was found in a secondary context in the upper fill of the pit feature and is a classic find from the Neolithic period. The axe has been manufactured from a fine-grained pale buff-coloured stone. 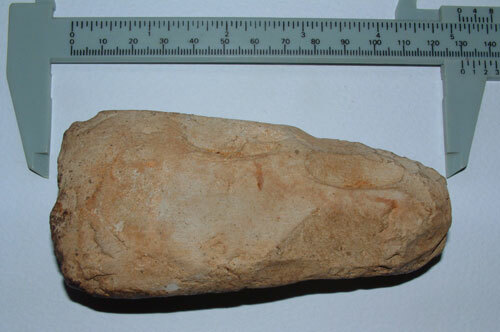 The flaking scars from the original shaping of the axe can be seen in the images and these are quite crude. Polishing of the object had started, but had failed to remove these deep scars and had not quite formed the cutting edge of the tool. 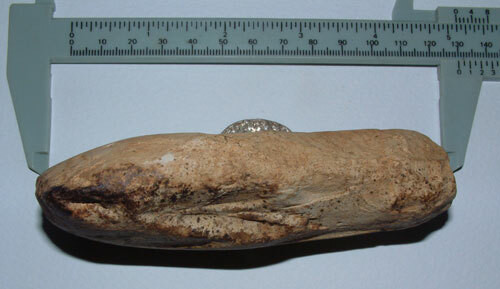 It is possible that work was stopped on the manufacture of the object when it was realised that the scars were indeed too deep to remove.